It’s amazing what we don’t notice if we are without internet access for just a relatively short time. As I mentioned on August 9, I am traveling for five weeks without regular access to the internet and thus this blog. Today offered a welcome break and I have become aware of several things worth mentioning. I have no idea if this is still news, but I feel it is definitely worth mentioning. Today, Leica has introduced the V-Lux (Typ 114) Explorer Kit. The new bundle includes a stock V-Lux (Typ 114), a black nylon ‘ONA for Leica’ Bowery camera bag and a LeicaRope Strap by COOPH in red. Earlier this year, Leica launched a similar Explorer Set for the D-Lux (Typ 109), although it didn’t include a camera bag. 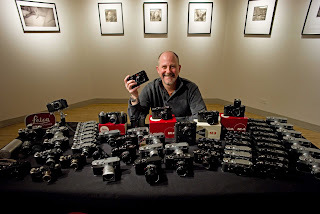 While conventional wisdom says that limited edition Leica sets should cost more than a stock model, the opposite is true in this case. Some quick back-of-the-napkin math shows that at $1,350, the price of the Explorer kit actually represents a net savings of about $100 over purchasing the components separately. The camera also comes in a snazzy box. Quantities of the V-Lux(Typ 114) Explorer Kit are limited to 1,500 sets worldwide. If you are interested in picking one up, head on over to Leica Store Miami, or give them a call at 305-921-4433. 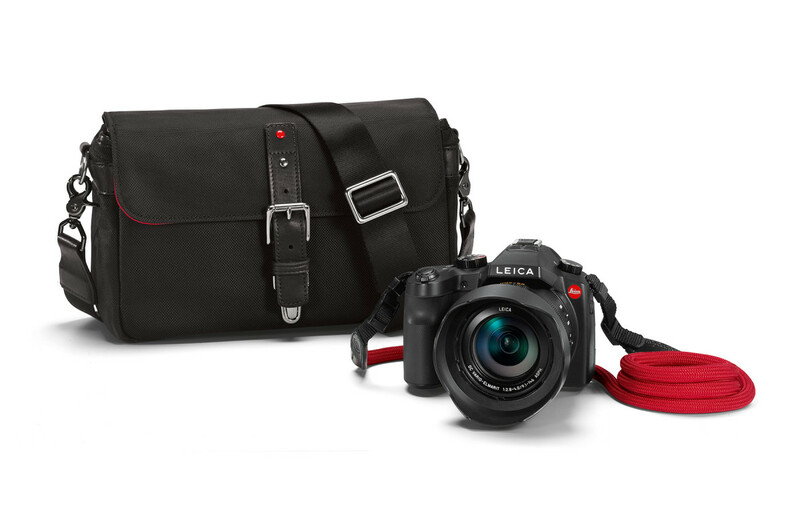 Leica Camera proudly presents the Leica V-Lux Explorer Kit which consists of a Leica V-Lux (Typ 114), a Bowery for Leica, Nylon, black system bag from the exclusive ‘ONA for Leica’ bag collection and a Leica Rope Strap designed by COOPH in red. 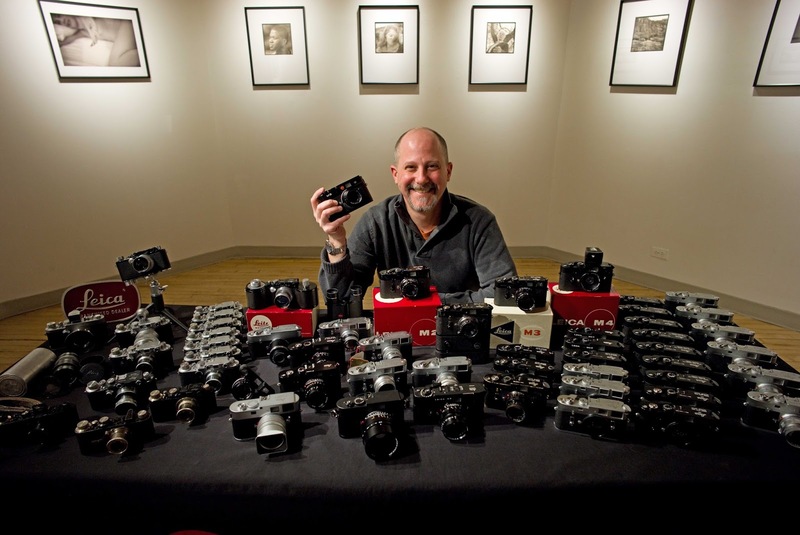 There are only 1,500 Leica V-Lux Explorer Kits available worldwide to all Leica Stores, Boutiques and Dealers. The Leica V-Lux series is ideal for all photographic situations – from wide-angle, standard, and telephoto photography to macro close-ups down to a distance of only 3 cm. The camera’s performance profile is complemented by a high-definition, 4K-resolution, digital video recording function that captures true-to-life memories in moving pictures. The ‘Bowery for Leica, Nylon, black’ system bag is distinguished by its style and functionality while the elegant strap features elements in Italian leather. The technical features of the Leica V-Lux in the Explorer Kit is identical to the Leica V-Lux (Typ 114). 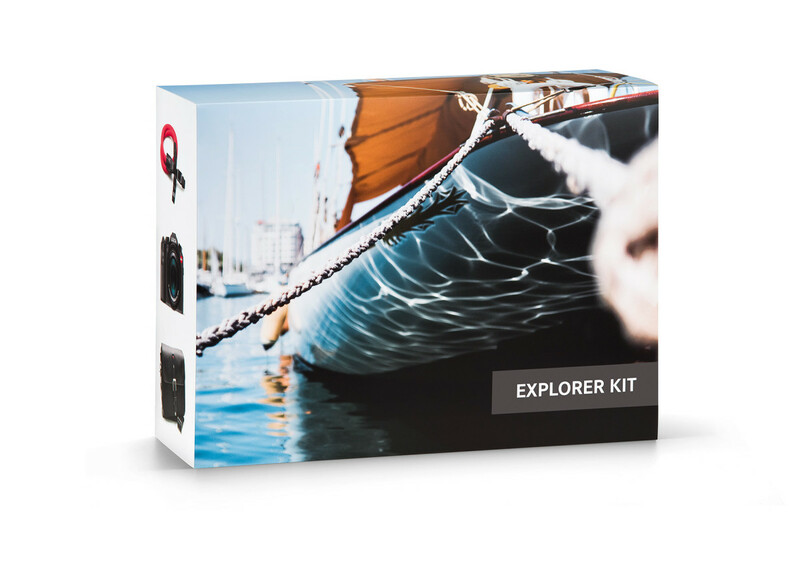 The Leica V-Lux Explorer Kit is available immediately. 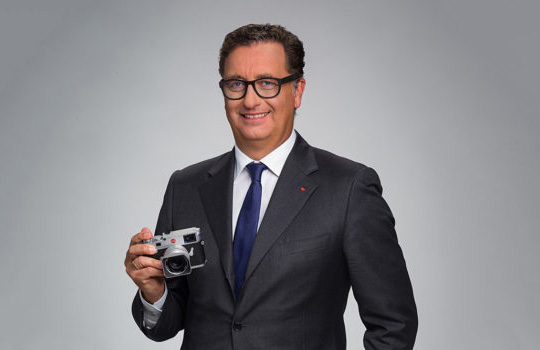 Probably more important is the news that Leica Camera AG named a new CEO to replace Oliver Kaltner who is leaving the company effective August 31. September 2017. He will be succeeding Oliver Kaltner, who will be leaving the company as of 31 August 2017. Matthias Harsch has been the Leica Board Member responsible for Sales, Retail and Marketing & Corporate Communications since April 2017. He previously led a successful turnaround as the CEO of LOEWE AG and spent many years at the helm of the Bizerba Group as a director. Before joining Leica, Matthias Harsch was a partner at Candidus Management Consulting. 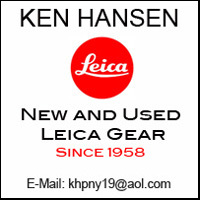 We wish Mr. Harsch all the best with the hope that Leica's success will continue under his leadership. A stop at some good friends during our vacation travels gave me access to a computer today to do some catching up. Good timing, because it allows me to convey the resurrection of a great new lens, one that must be considered a valid alternative for Leica cameras. An international team of engineers and manufacturers joined forces to return the famous Biotar 75/1.5. It is probably the most legendary lens ever produced in Jena, Germany. It is a six lens gauss type optical scheme whose design dates back to the year 1927 when famous lens designer Willi Merté developed his first Biotar which was designed for cinematography. In the 1930th Merté continued to improve the Biotar lenses among which the 75mm/1.5 reached legendary status. The Biotar 75/1.5 was first introduced in 1938, sales began to pick up with a presentation at the Leipzig Spring Fair in 1940. Its sharpness at the center in conjunction with a dramatic swirl bokeh is legendary. At open aperture the Biotar 75 is as sharp as can be in the center of the image and it renders the famous and sought after swirling bokeh to the side. The image gets an almost three dimensional complexion with the object stepping out in front of the viewer. The feel of the image is at the same time somewhat delicate which generates great contrast in available light situations with clear shadows and lights in the background. The “swirly bokeh” is an outstanding feature of this lens. This means that out-of-focus highlights in the background are subdued and at the same time rendered in a circular fashion. You can see this effect clearly in the following image. This specific feature of the lens creates an eye catching effect and the impact on the viewer is almost surrealistic. The Biotar 75 is legendary but it was the goal to maintain the exact Biotar characteristics while carefully improving the mechanical aspects and making it feasible for modern camera equipment and different mounts. So at the center of the development was to ensure the lenses ability to produce crystal sharp images at the center of the picture with a dramatic but not overly aggressive swirling bokeh at open aperture and its crystal overall sharpness at f 5.6 or f 8.0. It took several iterations to reach this goal. Furthermore the design of the lens was slightly changed. The later versions of the Biotar had a somewhat different look and it was the goal to come closer to the early versions with a straighter silhouette than the later ones and a very fine surface with a silver shine like it used to be in the thirties of the last century. The goal was not to create a “looks like a famous vintage lens” but to follow the legendary imaging abilities of the Biotar and gently change the mechanical design of the lens and reach a more modern but still classic design that pays respect to this legend. By using modern glasses and hi-end coating some disadvantages of the earlier Biotar lenses due to reflections on the surfaces could be avoided while maintaining all advantages. The 15 aperture blades of the new Biotar support the creation of the swirly bokeh and are of course made from steel and with a special anti-reflective coating. The lens will be available in the Leica M mount with rangefinder coupling.